Mandy Lemig Jewelry's namesake finds inspiration in all aspects of nature and natural beauty. 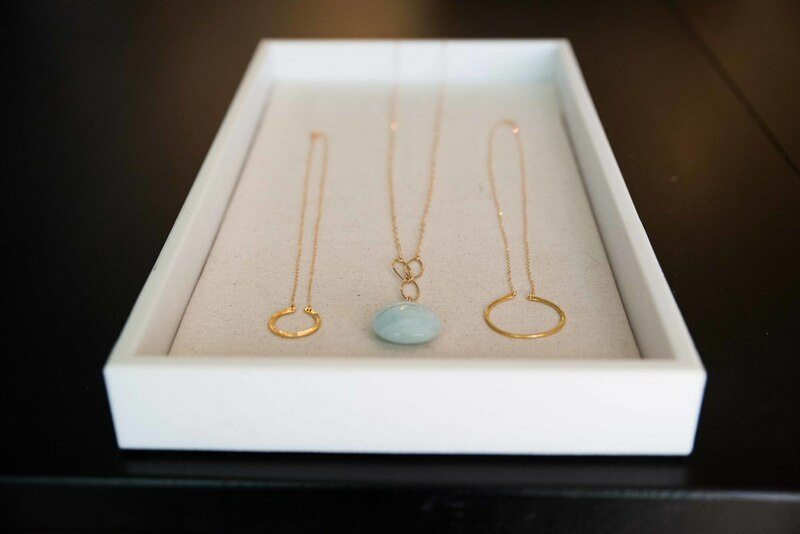 Her line, from precious metals, to colorful gems and raw stones, are pieces that translate effortlessly to any day and every occasion. I love personal expression and am always intrigued by what people choose to wear to convey their personal style. I'm totally inspired by nature and how something so simple—like a polished stone on the beach—can be so incredibly beautiful. 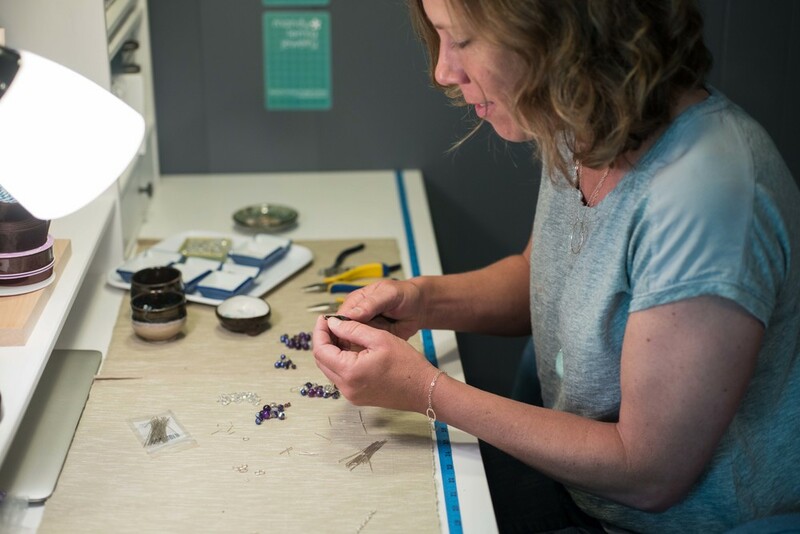 For Mandy Lemig Jewelry, I wanted to make an offering of clean, graceful designs that are also statement pieces—beautiful things that are practical, too. I want people to feel like my designs are effortless and versatile. Like they can be worn with jeans, or a ball gown—seamlessly. Wearable designs inspired by nature. 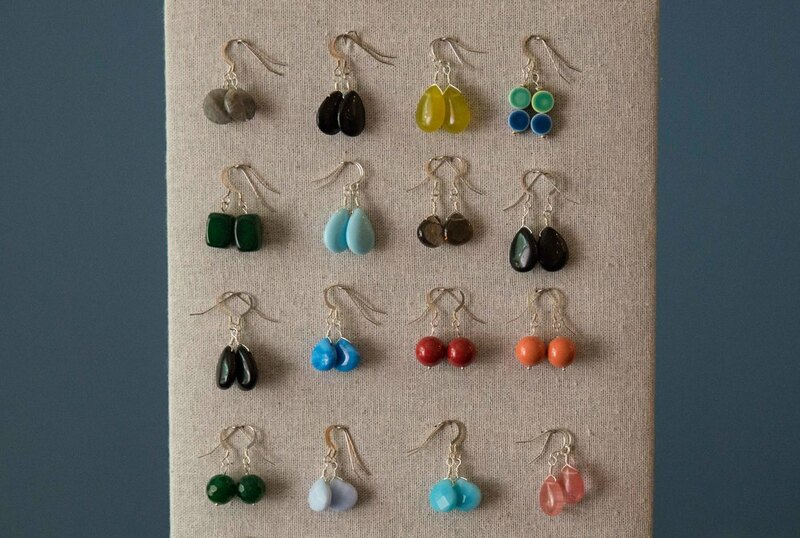 Beautiful, balanced baubles made for the everyday. For the girl who can never have too much jewelry. DID YOU ALWAYS HAVE A NATURAL INCLINATION TOWARDS CREATING THINGS? Yes! I'm obsessed with how things are made and have always loved making things myself—like figuring out a secret that most people don’t know. From the time I was a kid, I used to see things I liked in stores or museums and then go home and try to copy it—I still do it. So it was a natural progression to start making my own jewelry. what do you enjoy making the most, and what poses A challenge? I love making things that look beautiful and balanced, that highlight the natural beauty of simple things like a curve, a circle or a stone. The trick for me is figuring out a technique and then mastering it so that it looks like it's effortless. Experimentation, mastered—that’s the goal. 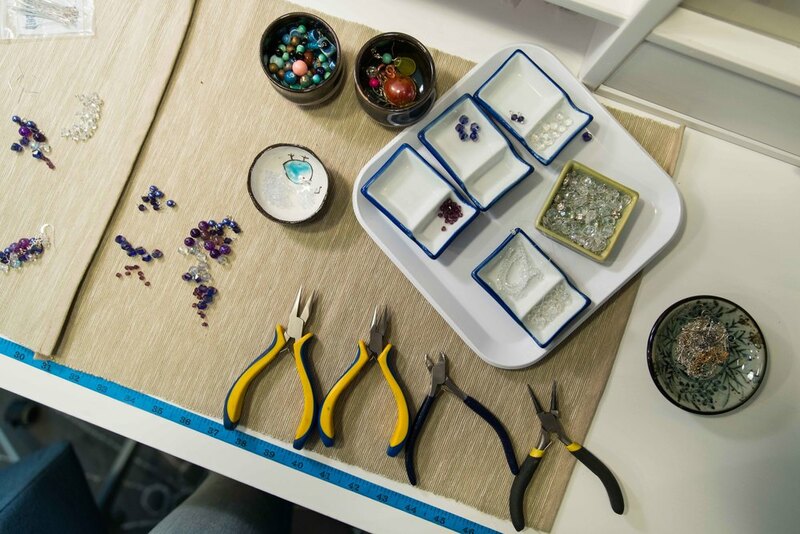 What's your STONE AND METAL SOURCING PROCESS LIKE? It changes constantly—because I’m always recreating my look. It’s some sort of beautifully chaotic process of constant combing of the internet, stores, and things salvaged from previous projects. And it never gets old—like walking on the beach collecting shells. Each hunt is different. IS THERE A PIECE OF JEWELRY YOU TREASURE? That's like asking a chef what their favorite spice is—so not fair to pick just one! My favorite piece of jewelry completely depends on the day, but I will say that I go through jewelry moods—and wear the same pair of earrings, like my surfboard hoops, for days at a time. That’s why versatility is so important for me: if I go on a week long trip and only have so much room in my suitcase, my accessories have to work really hard for me! I want people to feel like my designs are effortless and versatile.